A lot of barbs were thrown at James Blake on the run-up to his debut LP. Music critic Simon Reynolds playfully referred to Blake and his fellow soulboy bass-heads (i.e. Mount Kimbie, Jamie Woon) as ‘blubstep.’ A poster on a music forum quipped, “There’s a limit to your vocal ability,” taking a jab at the album’s Feist-covering first single. If that wasn’t enough, an online magazine asked, ‘Is James Blake the James Blunt of Dubstep?’ After awhile, the inevitable backlash began to look more like an all-out blitzkrieg — a contest to see who can drop the wittiest cluster bomb on Blake’s incursion into the mainstream. With all of that background noise, it may seem impossible for the music speak for itself. But after a few repeated listens, the shapes and contours of the album begin to emerge. 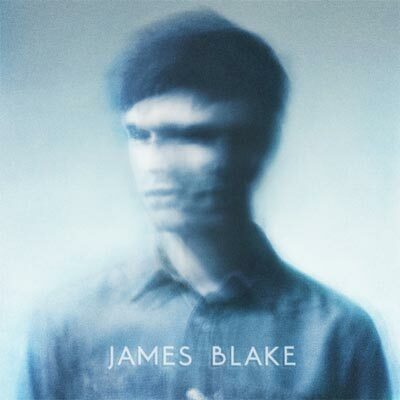 James Blake is an undoubtedly compelling record. While more radio-friendly than his previous work, I’d hardly call it watered down. Its combination of skittering beats, soulful vocal science, and a heaping dose of minimalism makes it one of the most captivating listens of the year thus far. Those traits are especially evident on the standout track, “Wilhelms Scream.” Composed of delicate synth arpeggios, distorted reverb, and submerged plinks and clanks that sound like a lovesick submarine, Blake plaintively sings, “I don’t know about my dreams/ I don’t know about my dreaming anymore.” The song’s mixture of euphoria and resignation is executed to a devastating degree. While the rest of the album fails to match the height of “Wilhelms Scream,” there are still plenty of other highlights. “To Care (Like You)” and “Why Don’t You Call Me” find Blake deploying his signature cut-up, pitch-shifted vocal programming. On “Lindesfarne I,” Blake introduces a trembling vocoder for the first half of the song, and concludes with electronically treated acoustic plucking, something akin to a post-human folk ballad. As for the rest of the record, Blake seems to split the difference between his drum n’ vocal exercises with his more sentimental tendencies .The album’s least successful track, “Give Me My Month,” illustrates why some deride Blake as more Dido than dubstep (or post-dubstep, for that matter). If it weren’t for its sparseness, the song’s saccharine mix of jazzy piano and blue-eyed crooning wouldn’t sound entirely out of place on a Norah Jones record. Surprisingly, Blake avoids the same territory on his cover of Feist’s “Limit to Your Love.” One would expect him to reiterate Feist’s adult contempo-friendly warble to showcase his commercial prowess. However, the continuously rumbling sub-bass and spacious vocal dubs add an ominous presence not found in the original version. Along with “Wilhelms Scream,” it best captures Blake’s unique combination of soulful cyborg singing and brutal minimalism. Regardless of whether that amalgam succeeds every time, James Blake has nonetheless carved out a startlingly unique and ambitious debut. Yair Rubinstein is a former REDEFINE magazine Staff Writer.